It is perfectly normal for anyone, child or adult, to become anxious before taking a test, excessive stress can cause both short and long-term psychological and physical damage. 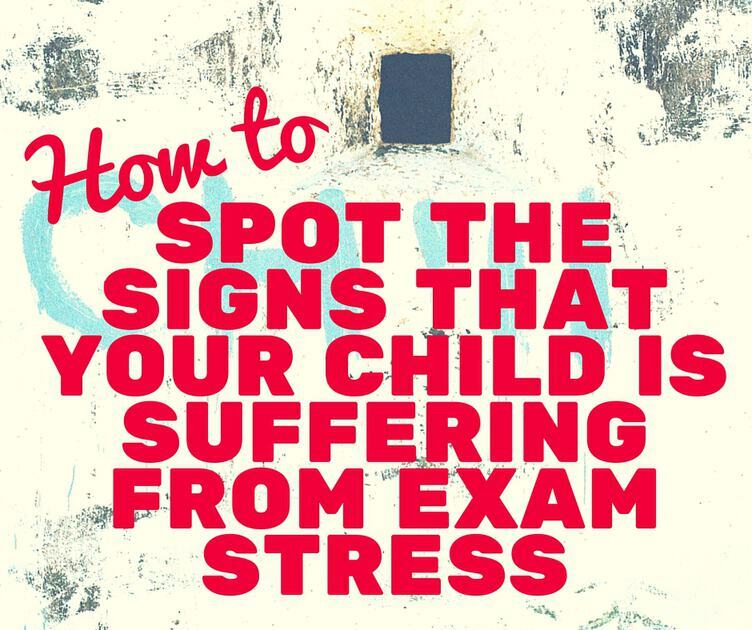 Help your child get through their exams safely by learning how to spot the signs of exam stress. How is exam stress different? All stress is defined as a person having an adverse response to pressure or demands that are placed upon them. People respond to stress in different ways, with some being able to handle excessive pressure and others buckling under it. Stress differs from pressure in that it usually lasts for longer and the problem occurs because human bodies are not designed to exist in a stressful state for prolonged periods. Exam stress is different to other stress because it is predictable, coming at certain times during the school year. Stress during exam times can be heightened because of the emphasis placed upon getting good results. Students feel pressured into setting high standards for themselves and worrying that they will not meet them. There are also expectations of parents, siblings, and friends to deal with, all of which can add pressure. There are several indicators that a person is suffering from stress. Stress can alter sleeping patterns or make it difficult for a person to get to sleep. Sleep deprivation can have very serious effects, the least of which are irritability and being overly emotional. You may also see them biting their nails or fidgeting more than is normal. They may demonstrate an inability to make decisions, become confused, or experience moments of blankness. If your child is showing any of these symptoms, it might mean that they’re suffering from exam stress. Another sure sign of something being wrong with your child is if they start to lose interest in their friends. Exam stress can also manifest in anxiety and panic attacks. These can be quite frightening to experience and can cause rapid heartbeats, trembling, and sweating, as well as pains in the chest and nausea. Anxiety and panic attacks can be treated with medication as a short-term stress-reducing solution. Anyone who has suffered from extreme stress will tell you that being told an issue does not matter is no help. Instead of trying to convince your child that exam results do not matter (when they know that they in fact do), try to make the exam process as easy as possible for them. Be supportive. Plan family mealtimes or outings around your child’s study periods so that they do not have to cram in revision late at night or early in the morning. Ensure they’re eating well by providing a balanced diet, avoiding products that increase blood sugar levels or induce lethargy. Encourage your child to exercise regularly as this will boost their energy levels and naturally reduce their stress. Perhaps the way you can help your child most at exam time is to simply talk with them. This gives your child a chance to communicate his or her concerns and you an opportunity to reassure them of your love.